Use multiple devices on-site? Do team inspections? Want all your inspection data to constantly save to the cloud as you go? You’ll love our mobile feature, live syncing! Live syncing constantly saves your inspection data to the cloud while you’re on-site. If you use another device, one tap of the “Sync” button will pull in all the latest data, allowing for seamless transitions between devices. This also allows inspectors on a team inspection to see what everyone else has done, increasing efficiency and maximizing productivity. You can choose your sync frequency. This is how often your device will send data up to the cloud. The more frequently you’re syncing the more data and battery life you’ll be using, so we recommend finding the balance for your needs. Remember that data is always saved to your device, so data loss is never an issue – you’re always able to save it up when you’re ready. 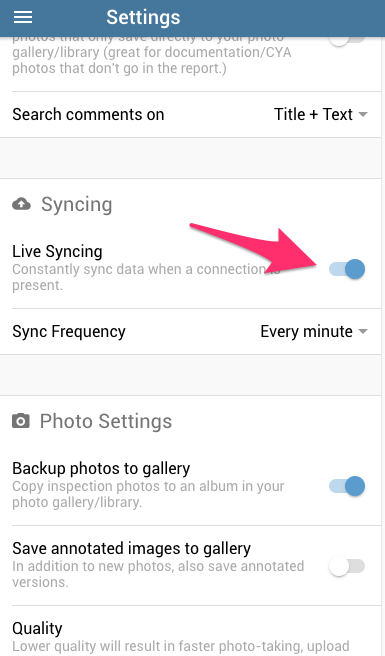 When you tap “Sync”, you’ll pull down the latest saved data from other devices and inspectors. In the event two inspectors have edited the same comment, whomever edited it last will overwrite the other. 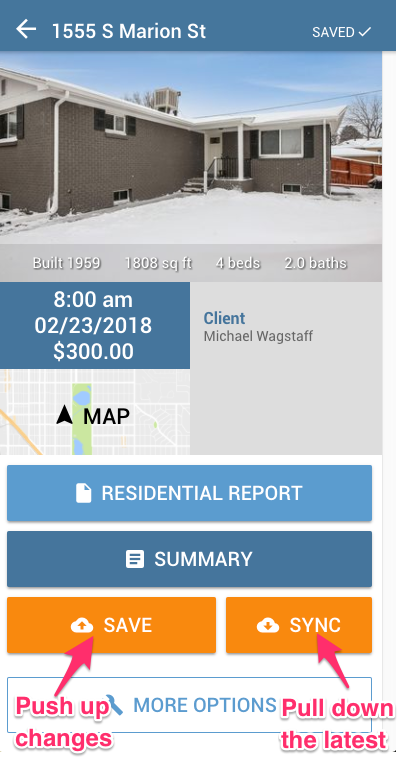 The app compares real-world timestamps, so you can be assured that the latest input by any inspector will always be what you see!